If you’re a fan of fiction that is more than just black and white, this latest story collection from #1 New York Times bestselling author George R. R. Martin and award-winning editor Gardner Dozois is filled with subtle shades of gray. Twenty-one all-original stories, by an all-star list of contributors, will delight and astonish you in equal measure with their cunning twists and dazzling reversals. And George R. R. Martin himself offers a brand-new A Game of Thrones tale chronicling one of the biggest rogues in the entire history of A Song of Ice and Fire. Give genre fiction fans a fat fantasy novel each and they'll read for a week. 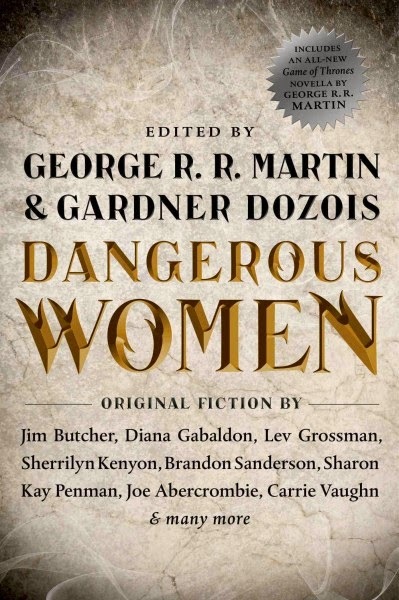 Give 'em an anthology edited by George R. R. Martin & Gardner Dozois and they could be rolling in stories forever more. Rogues is the latest in a long line of collaborations by the pair, and like Warriors and Dangerous Women, it represents a commingling of forms of fiction. 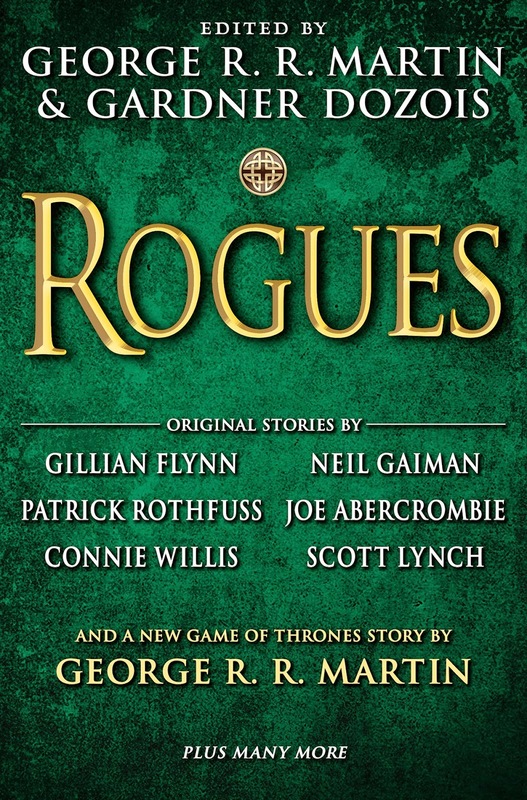 Fitting insofar as the rogue is "a character archetype that cuts across all mediums and genres," (p.xii) as the author of A Song of Ice and Fire asserts in his introduction, thus the fantasy narratives forecast are accompanied by stories of historical heroics, replete with romance, ghosts and gunslinging. Which is to say there are Westerns as well, in addition to efforts emblematic of a small army of other categories, including horror, mystery and the mainstream. Herein, expect to see science fiction rubbing shoulders with the traditional thriller. In that regard, Rogues is rather a throwback. I still do. But in the decades since [...] publishing has changed, chain bookstores have multiplied, the genre barriers have hardened. I think that's a pity. Books should broaden us, take us to place we have never been and show us things we've never seen, expand our horizons and our way of looking at the world. Limiting your reading to single genre defeats that. It limits us, makes us smaller. It seemed to me, then as now, that there were good stories and bad stories, and that was the only distinction that truly mattered. And we do, to be sure. On Tor.com, several of the site's strongest bloggers have taken the measure of a bunch of the biggest hitters, including 'The Lightning Tree' by Patrick Rothfuss—"a story about a delightful charming person who is doing some things for mysterious reasons," according to Jo Walton—and 'A Year and a Day in Old Theradane' by Scott Lynch: "a blast from start to finish," says Stefan Raets, despite being "unconnected to the adventures of Locke, Jean, Sabetha et al" in the books of The Gentlemen Bastards. Martin himself contributes a companion piece to the "brutal but captivating chapter of Westerosi history, filled with memorable characters, intrigue, and epic battles" begun in 'The Princess and the Queen.' 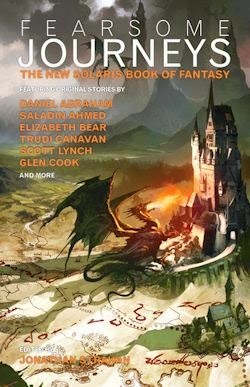 Bridget McGovern writes that 'The Rogue Prince' serves "as a sobering reminder of the ambiguous and deeply troubling legacy that Daenerys must struggle with as she seeks to reclaim the Iron Throne," whilst 'Tough Tough Times All Over' by Joe Abercrombie is a "searching" short about buttons and broken dreams. "A reliance on [...] the rich back story from the Circle of the World series" was the only weakness Justin Landon alluded to in his review. In totality, these stories represent Rogues at its best and worst at once. This is an awesome anthology, obviously, but precious few folks will be in a position to appreciate it in its entirety, because most of the stories are cuttings from larger canvasses, best appreciated by readers of such and such a saga. 'The Inn of the Seven Blessings' by Matthew Hughes chronicles another of Raffalon the thief's many adventures; Joe R. Lansdale dispatches his Hap and Leonard on a perilous quest to rescue a Damsel in Distress in 'Bent Twig'; Darger and Surplus, con artists extraordinaire, star in Michael Swanwick's 'Tawny Petticoats'; Paul Cornell's spy Jonathan Hamilton is back in 'A Better Way to Die'; 'Ill Seen in Tyre' features a teenaged iteration of Steven Saylor's character Gordianus; Sir Hereward and Master Fitz return in 'A Cargo of Ivories' by Garth Nix; The Fourth Wall's narrator features in 'Diamonds from Tequila' by Walter Jon Williams. There's also a new tale of Alaric the Minstrel by Phyllis Eisenstein, meanwhile the Marquis de Carabas from Neverwhere gets his coat back in Neil Gaiman's long-mooted contribution. Not all of these narratives are impenetrable to new readers—far from it. I for one was familiar with perhaps half of the aforementioned characters, but I enjoyed more than half of the stories in Rogues. None more so, though, than the occasional originals, foremost among the few 'What Do You Do?' by Gillian Flynn—a twisty thriller about ambition by the author of Gone Girl—'The Meaning of Love' by The Dagger and the Coin's Daniel Abraham, and 'The Curious Affair of the Dead Wives' by Lisa Tuttle, a sort of Sherlockian gender bender interested in the mystery of a dead woman walking. 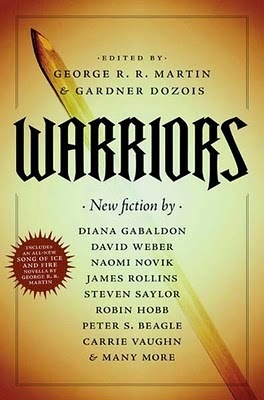 Many will come to this collection for its ties to A Song of Ice and Fire, or Joe Abercrombie's Circle of the World series; others will want to learn a little more about Bast, or the Marquis de Carabas. Rogues is as good as guaranteed to satisfy such customers. Crucially, though, they'll be taking home twenty other tales too, and though their mileage may vary as regards which of the rest are the best, every one of the stories Martin and Dozois have gathered together—even those that left me cold—stands a chance of expanding fans' horizons. Rather roguish of the editors, right? Bought this book to keep away from Internet and gaming, but didnt satisfy the purpose. The story is told well, but sometimes gets distracted into redundant histories. Starts off in great pace, and slows down midway, and then again catches good pace towards the end. There is a noticeable shift though. It starts off as a historic tale, with all realistic things and no magical-sort of things, and ends into some living dead, magical procedures for revival, birth of fictional creatures.